This kit includes all of the parts needed to build the GuitarPCB Dual-Voice Filter project. This project is based on a design originally created by Craig Anderton, and was revised/revived by tonmann. If you want your "Money for Nothing" and "chicks for free" then this is the sound you need. This pedal is something really unique and practical. 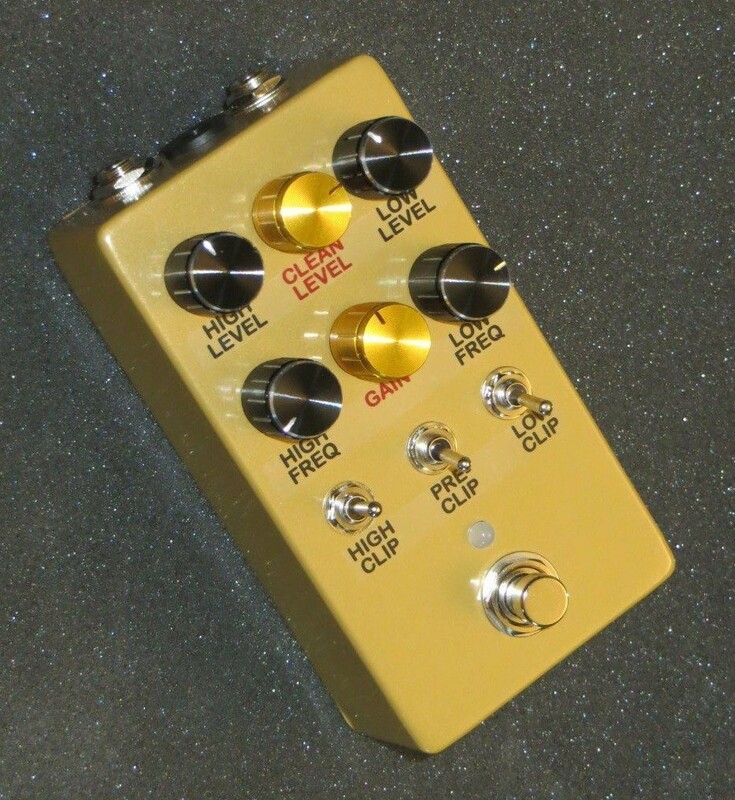 The pedal emulates 1 or 2 "stuck wah pedals" with overdrive. It puts emphasis on a 1 or 2 adjustable frequency ranges, and has clipping options on each, as well as an overall clipping option for the input. Check out the demo! This kit includes a 125B enclosure and 6 black Davies 1900H-style knobs. If you prefer to have 4 black and 2 cream knobs, please state so in the order notes section when you place your order. Please note that this project does not have room for a battery inside the enclosure, so a DC power supply (not included) will be needed to power the completed project. Please see what is provided in a kit? in our FAQ for more details of what is included and what you will need to provide to complete the project. Please note that the completed pedal in the pictures is an example of what you can do with the kit. You will receive the parts to make a similar pedal.